Are you trying to lose that extra pound and seeing no change? Well, the diet plan that you have may be erroneous on so many levels. Weight loss is imperative in today’s society. Obesity is a plague rising in our communities. Dreadful diseases that accompany obesity are on the rise. Some of them are heart diseases, stroke, high blood pressure, high cholesterol level, osteoarthritis, diabetes, gallbladder disease and even certain types of cancer. Cutting weight will help you feel better about yourself and perform better at activities which demand a particular kind of physicality. This journey is of patience and commitment. One of the hardest challenges any person can encounter is losing weight; however, it is much easier gaining weight. Therefore, you should be prepared mentally and physically to face the challenges that may be forthcoming. Anyway, let’s get down to the tips. This trickery might seem weird, but it works. Using a wider plate while serving food may make the required amount seem too little, and therefore, you will end up adding more. Here, you play a psychological game. Using a small plate will trick the mind and let it think that the food served is enough. The use of a small dish, therefore, reduces the consumption of food. Water is life. It has benefits that are essential to this gruesome journey. It hydrates your body, helps in burning calories, and it is the healthiest drink to consume. Drinking water before meals, considerably, two to three cups, will give you the feeling of satiety quicker while eating. Does exercising alone burn more calories? Yes, it does but slowly. 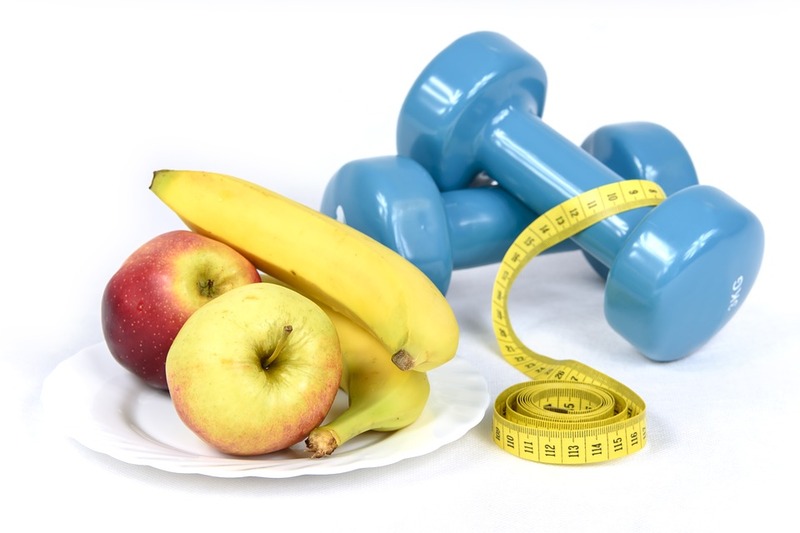 To fasten the process, exercise and consume the right foods. Calories burnt need to outweigh the calories consumed. Ingesting much of proteins plus fruits and less of carbohydrates is a proper way to carry out your diet meal plan. Also, drinking lots of water probably more than eight cups of water which equals 2 liters a day. However, drinking too much water after short periods of time is hazardous as it may lead to other complications such as hyponatremia, which can be fatal. Skipping a meal damages the metabolism of the body. Also, skipping meals slows down the metabolism thus the fat is burned down very slowly. Eating three meals a day will help you achieve a healthier weight loss result. Eat to live and not live to eat. Eat what will help keep you alive and provide you the energy needed for daily activities. Also, you might even eat foods that are full of soluble fiber or fiber. These fiber-rich foods leave a feeling of satiety which then makes you less hungry. Leaving out the non-nutritional carbohydrates is good, but even the consumption of healthy carbohydrates should be moderate. A healthy meal should consist of a high-protein diet, moderate healthy carbs, and natural fiber fruits and vegetables. Addiction to refined sugar is something many people may consider unrealistic. However, sugar addiction is real. During the first 5-7 days, you may start off well. However, your body will start to crave the refined sugar foods and since they’re close, you might not have the self-control you require to combat the craving. Later, this will lead to consumption and thus dragging you down to ground zero to start again. Your kitchen fridge should exempt yogurt, juice, cakes, ice cream, and other processed foods. Exercising is also essential to this journey. There are different types of exercises that one can do. While on a diet plan, the body tends to lose muscle. Therefore, strength training is needed to halt the muscle loss and build lean muscles. Cardiovascular exercises are essential given that they aid in the burning of calories, releasing toxins through sweating and breathing heavily and strengthening of the heart muscles. Watching what you eat is also vital to getting the most excellent results. The best amount of calories to consume in a day is 1500-2000 calories. It depends on your body size, height and activity level of an individual. Consumption of calories for females is 1500 calories while for males is 2000 calories. Nevertheless, men can also go as low as 1500 calories a day. With these weight loss tips, losing that extra pound has been made easy. When you feel like falling off the bandwagon, hold on, it will be worthwhile in the end. Remember, it is not a one week or one month endeavor. It will take more than that. Shedding that extra pound may take up to six months, a year or two. Exercising six days a week and resting once a week, should give you the desired results much quicker. However, if you can’t make it six days, three to four days a week should do it. Remember, stay active and committed. Ibrahim Alenga is a multiskilled full-time writer. He is an ideal writer who is fascinated by the wildlife of animals. He has been writing articles on different niches for close to two years now. When he's not writing, he's either reading a book or out exercising.